How can I invite a new user to Wealthbox? 1. Admin users can click the three dots in the upper right corner of Wealthbox > “Settings. 2. Navigate to “Users” under “Workspace”. 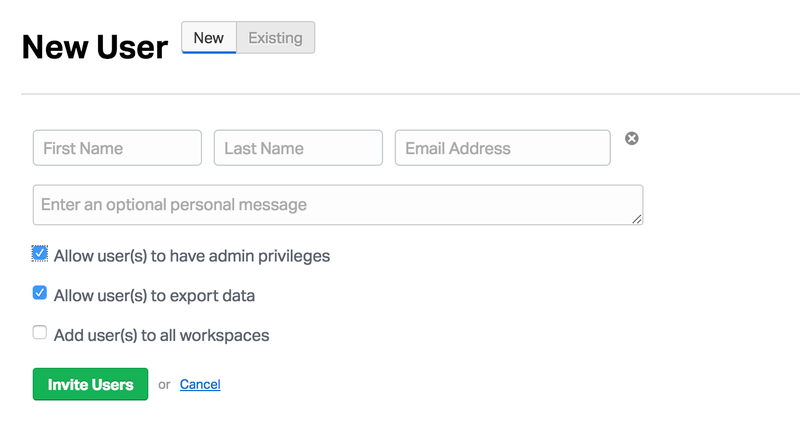 Note: You can give the new user “Admin Privileges” and/or the ability to export data by checking the boxes. You must have admin privileges to invite other users.